Retractable fabric awnings can create attractive, protected and comfortable outdoor areas for people to gather. In addition, a retractable awning can directly affect energy use by simply blocking the sun. Heat gain through windows is one of the reasons that buildings need air conditioners. In some climates, owners can expect to save up to 25% of their cooling costs. Decorative colors and designs in easy-to-maintain fabrics give you the ability to coordinate your furniture and your awning with your indoor decor. 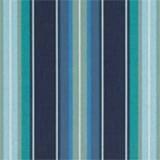 These durable fabrics withstand the elements providing utility and beauty to an outdoor space. 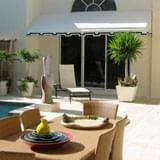 Most quality fabrics used on retractable awnings are warrantied for five to ten years against failure and fading. When considering retractable awnings products, there are a few very important considerations to keep in mind throughout the process. If the main objective is to provide protection from the sun, light winds and light rain then a lateral arm retractable awning is the best product for the customer. Lateral arm retractable awnings are the perfect solution for shading larger areas like patios and decks and are generally available up to 40′ wide x 18′ projection. With the addition of motors, these awnings offer large square foot coverage with the convenience of a handheld remote. 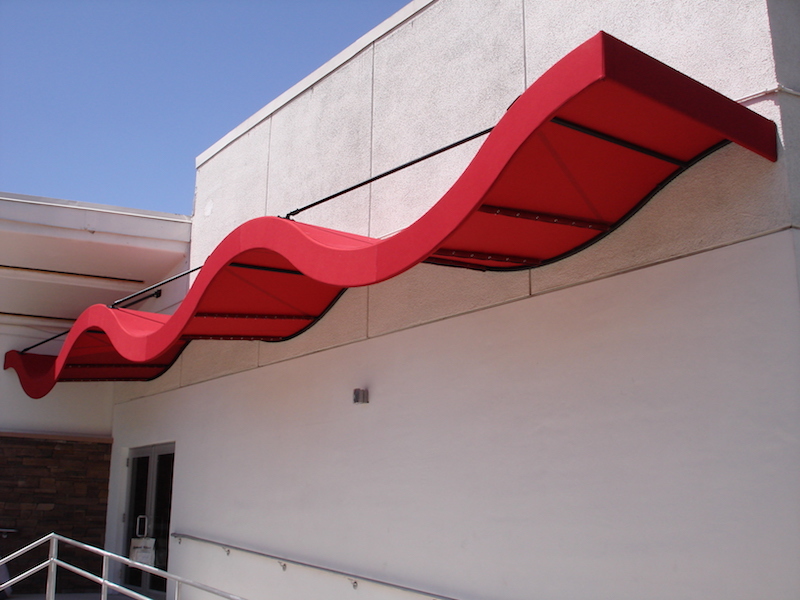 These awnings usually offer the best bang for your buck but can be limited by weather protection requirements. For protecting windows and doors, retractable drop arm awnings are ideal. These awnings generally fare well in heavier weather as they often have a much smaller footprint and arms that pivot opposed to extend. And for the need to have a retractable all weather product, retractable canopies are the only way to go. Whether the goal is to just block your windows from a heavy sun exposure or to extend the useable area by covering your patio or deck, retractable awnings usually have the right mix of products to achieve most any design intent. 1. Awnings (not individual parts) should have a TUV certification. 2. Manufacturing facility should carry a complete TUV certification. 3. Awning frames and hardware should consist of all aluminum and stainless steel. 4. Awning frames should be powder coated or ESP with both a primer and top coat. 5. Cable tensioned arms should be protected in a PVC coating. 6. Lateral arm joint fittings should be epoxied into the extrusion at time of assembly. 7. Fabric roller tubes should be aluminum. 8. Awning frames should carry a minimum of ten year part replacement warranty. 9. 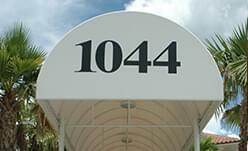 Awning fabric should carry a ten year warranty. 11. Motors, controls and sensors should carry a five year warranty. Because most awning professionals are simply dealers of retractable products, one should be careful of the brand of awning being purchased. Much like automobiles, the dealer is only as good as the product he carries and the manufacturer’s warranty/product should be closely scrutinized. To be safe, ensure that the products meet the Specifications.